Please post any issues you have, and I will see to it that they get fixed as soon as possible. I would also appreciate feedback on any of the changes, whether something doesn't appear to be working right, or seems overpowered, or underwhelming. I've been looking at the ammo refund script with PexInspector (wanted to add the cryolator to Heavy Gunner 1 manually), and it seems to me that that refunding ammo should be slightly buggy. From reading it it would seem that only flamers get the bonus refund chance per point of strength, all other weapons (miniguns & automatic) seem to get it based on agility. This could be of course a quirk of PexInspector or my bad understanding of code, but I still wanted to mention it anyways. There must be an issue with that program because I just looked at the script and it's correct. Test it by setting your strength to 100 and you'll have your answer. Miniguns and Flamers use strength. I am enjoying your mod so far but what modifications have been made with Rad-X? The reason I ask, when I place your mod under my sorting mod, Rad-X does not sort properly. If I place your mod above it, it does. 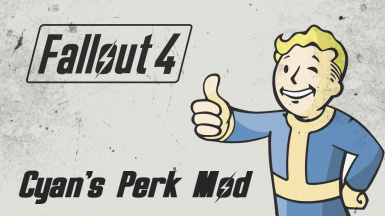 I am placing your mod lower because description for perks are not reflected when viewing Pip-Boy after getting them. As for Rad-X modifications, it's all on the main page.. Sorry I missed the Rad Resistance perk description. A perk I have for so long ignored due to how bad it is in Vanilla. I may look at this a little closer now. I use Bhaal's Better Sorting mod. I prefer the naming method for weapons and armor over the more popular Valdacil's Item Sorting. As for any compatibility issues you're having, I'm pretty sure it's related to that sorting mod, and not mine. I knew it was the sorting mod, I just wanted to find the change to Rad-X which I overlooked in the description. Thanks for your help. Is it possible to include a separate file that nerfs / reduce all gun damage by 10/20/30/40/50% progressively?? I always one-shot most of the enemies at sight while playing Hard difficulty. Nerfed Weapon Damage mod does that but w/out all your other awesome perks. Why not use them both? For people using Valdacil's Item Sorting, an Valdacil patch for Cyan's Perk Mod 1.6d is included in my Radrose Usability Enhancements mod, adding icons & sorting for this mod's custom perks and items. Got quite excited to see the changes you've made. I'm actually not interested in any perk overhaul, save for some of the more useless companion perks: primarily Trigger Rush; Isodoped; Close to Metal (useless if you also locate the Science bobblehead as the extra guess doesn't stack, and hacking isn't hard in the first place). Berserk is also pretty hard to use effectively, but Strong annoys me. Close to Metal's armor penetration also makes sense in terms of flavour, and expands its utility - it at least has a reason to exist now even if you already have the Science bobblehead. Loved what you did with Robot Sympathy - interesting approach to adding a bit more utilty to the perk, yet still in keeping with the phrase robot sympathy, whatever that really means. I guess the robotic sympathetically and posthumously poops out extra salvage? Or your sympathy with the robots (now its a 2 way street! allows you to rip out their guts for extra scrap? I don't really know, but I know I like it. Just my own thoughts on a few perks (not requests by another name, really - they're good changes as is): (1) since Isodoped is wordplay on both Hancock's chem-use and rad absorption, I had thought that allowing the critical storage multiplier to apply either when the player has sufficient rads accumulated or is under the influence of some drugs would be a fitting realisation of the perk. (2) Trigger Rush - I had the same thought as you that its too dangerous to stay under 25% health just for faster AP accumulation. Initially thought that maybe allowing a small reduction in VATS cost could also simulate a trigger rush of sorts, allowing the player to perhaps get off an extra shot or so in VATS and partially negating the need to stay in the red for the perk to work - unless maybe you line up that many shots... then again, your implementation also allows for sprinting and more directly captures the sense of intense adrenaline. Also, I'm strongly considering performing surgery (of the sort performed by an untrained and drunken igor, rather than by the good doctor himself) on your mod, because as previously stated, I'd like to play with the vanilla perks and your enhanced companion perks. Was thinking I'd just use FO4Edit to just gut out all the perk entries except the relevant companion perk entries. I'd also need to retain (1) the levelled list entries for Robot Sympathy; (2) the spell entries for Shield Harmonics and FortifyActionPointRegenMult, and (3) the Actor Value Info entry for ActionPointsRateMult. Does that sound right to you? I also have no clue on whether the ActorValueInfo ActionPointsRate is relevant at all to Trigger Rush - is it? If the details aren't immediately recognisable to you and you'd rather not advise on this - completely understood, and no worries. Also: (1) Why is Deacon's cloak and dagger also listed in your esp, although it looks unchanged to me? (2) While I'm planning on removing the perk cycler quest and associated scripts (will manually remove and add the companion perks I've already obtained), I noted that the cycler doesn't seem to cover the companion perks, even though they too would need cycling if already obtained? Or am I just blind or otherwise misinformed? EDIT: (3) Piper's perk description says the xp bonus for discovering locations and persuasion successes is x5, but the perk magnitude is 4.55? This turned out quite long didn't it? Hope it wasn't too much. Yes, that is a bit long-winded but that's what comment sections are for; communication. I'll do my best to answer your questions/concerns, so here goes. "Also, does it stack with a maxed out critical banker [4 ranks]?" "Just my own thoughts on a few perks (not requests by another name, really - they're good changes as is): (1) since Isodoped is wordplay on both Hancock's chem-use and rad absorption, I had thought that allowing the critical storage multiplier to apply either when the player has sufficient rads accumulated or is under the influence of some drugs would be a fitting realisation of the perk." By tying the stored critical to a condition - rad level in this case - we run the risk of having a banked critical and then losing it any time our rads go below the predefined threshold. Its binary nature - all or nothing - makes such an implementation rather clumsy, which is why I chose to have a partial effect that is always active which is in line with some of the other perks that are tied to conditions such as current health values on Berserk or Trigger Rush. There are also issues with this condition due to the existence of Solar Powered and Ghoulish having effects that constantly remove rads. You're free to mod my mod for personal use however you see fit, so long as any redistribution goes unfulfilled. However, you're pretty much on your own in that regard. "(3) the Actor Value Info entry for ActionPointsRateMult. Does that sound right to you? I also have no clue on whether the ActorValueInfo ActionPointsRate is relevant at all to Trigger Rush - is it?" You can remove that line if you want. It won't have any bearing on gameplay at all. It is there merely so I can search for that actor value in the console for testing purposes. Without that edit you cannot find out your in-game ActionPointsRate value using "player.getav" functionality through the console. "(1) Why is Deacon's cloak and dagger also listed in your esp, although it looks unchanged to me?" The description contained an extraneous space and is merely a typo-fix. "(2) While I'm planning on removing the perk cycler quest and associated scripts (will manually remove and add the companion perks I've already obtained), I noted that the cycler doesn't seem to cover the companion perks, even though they too would need cycling if already obtained?" The cycler is meant for problem perks which are mentioned in the explanation of that functionality. I hadn't encountered any issues with the companion perks. If someone discovers a problem with one, then as stated previously, I'll add it to the cycler list. The ones included in the cycler posed issues I've experienced personally and when Survival mode is taken into consideration you're going to be s*** out of luck without my cycler to fix them since you cannot use the console, unless of course you mod the console functionality back in, but not everyone will do that so, here we are. "(3) Piper's perk description says the xp bonus for discovering locations and persuasion successes is x5, but the perk magnitude is 4.55?" The perk grants a base 10% bonus to all experience gains already. As such, 4.55 x 1.1 = 5.005. I hope that answers your questions, and I thank you for your feedback and support. You nailed the intention of this mod on the head, and I'm glad to hear that my goal succeeded in conveying that. I strive in all my mods to maintain a certain level of coherence to the base game's design philosophy, which is why I don't make any outlandish mods - though I've tinkered with some goofy ones for my own entertainment. Thanks for such a detailed reply! You've really clarified quite a bit for me, very good of you. I'll let you know if I encounter issues with already-obtained companion perks not updating to this mod's version. It may take a few weeks though - especially at the rate I play and mod things. Also, I realise I rather flippantly talked about editing your mod to include just the companion overhaul perks - apologies if that came off as rude or presumptuous. Rest assured there would be no redistribution - this is your mod after all. I couldn't have put all these edits together myself. I do like your approach to perk overhauls and balancing - I'll keep an eye out for your stuff in the future. Isodoped - the additional critical does not stack with a maxed Critical Banker. I seem to only be able to bank a total of 5 with Critical Banker 4 and Isodoped. If I have critical banker rank 3, then Isodoped will correctly boost my max number of stored criticals from 4 to 5. It's not just a display bug either from what I can tell. Otherwise the rest of the companion perk overhauls seem peachy so far! Well I suppose in the mean time you can just save a point on Critical Banker. I don't know if this a bug or not, but if you use the brute force unlocking/hacking, it doesn't trigger an affinity gain for your companion who otherwise gains it if you lock-pick/hack normally. This is probably the best perk overhaul I've seen yet. If I may, I'd like to suggest changing the explosives expert perk so it doesn't double the explosion radius (a 50% increase would be more reasonable and would cause less accidents involving mines or bad throws), make VANS rank 3 reveal map markers around you instead of the whole map (though I'm not aware if this is even possible), and maybe change the chemist perk to make you resistant to addiction. All in all, you've done a great job evening out some of the least useful perks. The radius bonus on Demolition Expert is currently 25%, not double. The request for VANS may be possible but it's more trouble than it's worth and would most likely require an extremely complex script, which I have no interest in working on as I feel the effect itself is fine. You can always choose not to take it. 5% less movement speed isn't the end of the world, and there's a legendary mod called "Sprinter's" that does the same thing. Addiction resistance is already covered by the Chem Resistant perk. With all that said, I do appreciate the feedback and kind words. On a side note, I have a new update coming later today - hopefully - that will add some cool new features for some of the remaining crap perks. Sorry for having the worst suggestions of 2016, it's been a while since I've given perks much thought. I'm not sure on the radius, but all I know is the radius is 25%, and the wiki seems to indicate that this has always been the case. Giving Cait's Trigger Rush 50% additional AP regens looks too strong. That's already two points into Action Boy/Girl, plus you get the bonus when you get low health. Gift of Gab (Piper) having +10% EXP gain looks too good as well. Isn't that equivalent to +3 intelligence? Considering the fact that you have to work to get these perks, I think they're fine, especially when compared to other perks like United We Stand, Cloak & Dagger, Hunter's Wisdom, Killshot, etc. The AP regen granted by Trigger Rush isn't as objectively comparable to flat-out bonus damage, armor penetration, etc like the aforementioned perks. That's why I decided on 50%. If you understand the math behind it you'll see that 50% isn't as much as you think. When dealing with AP regen bonuses in Fallout 4, there exists only one type via any item or perk, and that's additive. So 50% is actually 0.5 AP per second. Base is 6. The bonus when on low health is even less objectively comparable due to the nature of the condition. No one is going to hover around 40% health just for the AP regen bonus, as that is most likely going to end up turning into suicide, so I feel the numbers here are fine. Keep in mind that the low health bonus is a multiplier on top, which again given the condition makes it strong enough to not be considered utter garbage. The perk previously fit that description during my testing. Now it does not. As for Gift of Gab, well it's roughly equivalent to Rank 2 Night Person - which is one perk that takes no effort to achieve other than merely playing the game and having the necessary requirements to get it - though it has the added bonus of working all the time. Again however, this effect isn't as objectively comparable. The bonus experience is great, but it will not help you in any way during combat, thus I'm comfortable with a stronger effect. I definitely appreciate your feedback Butters (mind if I call you Butters? ), I really do. But do me a favor and at least try them out before you declare them over-tuned. Unlike anyone else I've tested every change I've made personally, so you can be sure if it made the cut then it was good enough. Oh, I didn't know that bonus AP regen worked in such a strange way. Ok, I experimented with AP regen a bit. Turns out that the magnitude of AbFortifyActionPointRate "Fortify Action Point Regen" [MGEF:0004D899] is not a multiplier at all. It simply adds a flat amount to the base 6 AP/s regen. This means that the vanilla Trigger Rush is bugged in two ways. First, it simply adds 0.5 AP/s which is an additional 8.33% regen, not 25% (conpared to base). Second, the condition is broken as well, but the unofficial patch fixes that. Thanks to your relationship with Cait, you regenerate an additional 0.5 Action Points per second and when below 40% Health you gain 50% more Action Point regeneration. The description is accurate insofar as its relation relative to other AP regen descriptions which follow the same format so I see no reason to change it. Even the latter part where I say, "all AP regen" is increased should be understood to mean that it's not a mere +0.X like all the other AP regen effects in the game. I gave the same treatment to Night Person as well. This anomaly in the way Bethesda uses actor values in relation to descriptions is not limited to just AP regen either. The same holds true for all the sneak attack effects; Ninja, Mister Sandman, and Cloak & Dagger. Prior to some changes that Bethesda made in version 1.4 to address some stacking issues that arose between the aforementioned perks, only one of them was additive, which I believe was Ninja, and the other two were multiplicative so depending on the order you got them, the net value would end up being different. Currently only one of them is multiplicative - Cloak & Dagger - which avoids this issue all together when the priority on the perk entries are set properly. For the record, the actor value used for multiplication is ActionPointRateMult which has a default value of 100 which equates to 100% and the formula ActionPointRate * ActionPointRateMult follows. ActionPointRateMult is not used in any effects in the game even though the actor value does exist. To be clear, I'm not talking about your impementation of ActionPointRateMult. I think it's great both on Trigger Rush and Night Person because it's a real multiplier. What I mean is the ActionPointRate part of the perk. This part of the perk gives a flat 0.5 AP regen per second and the description says "Action Points regenerate +50% faster". The Action Boy/Girl perks gives a flat 1.5/3 AP regen per second for rank 1/2 and the description says "Action Points regenerate 25%/50% faster". I hope you see what I mean now. Action Boy/Girl regenerates AP 25%/50% faster when you take 6 AP/s as a baseline. The 25%/50% are of course still misleading because they are not multipliers. But Trigger Rush only adds 8.33% unconditional AP regen to the baseline, even though the description says 50%. Ah yes. For some reason my brain wasn't factoring in the fact that Action Boy/Girl increase the values by 1.5 per rank. I think the reason for this confusion stems from the fact that the value on Cait's perk in the base game was 0.5 which was also in error. I was operating under those erroneous parameters which is what lead to my mistake. "The 25%/50% are of course still misleading because they are not multipliers." That's not entirely true. It depends on what you consider as the base. You can multiply a base value, or you can multiply all values that are additive. Even though Action Boy/Girl are technically additive, they're still floating point factors of 6 in the proper proportions. I will correct that error and make an update. I also needed to re-write my loader script to check if the player has either of the perks related to the holotape anyway. Thanks for bringing this to my attention, and in light of this information I'm going to reduce it to +25% because +50% would most certainly be entirely too much given the correction to the aforementioned erroneous parameters. Such is the nature of making so many changes at once. I want to edit magazines myself, how do I do that? What do you mean exactly? How do you edit magazine perks in the CK? Go to the Perks form on the left hand side and then search for the perk you want to change, when in the CK. There's plenty of tutorials on how to do this.